When you start the game, Biography should be the last hing in your mind even if you if by any chance you figured or learned what it does. 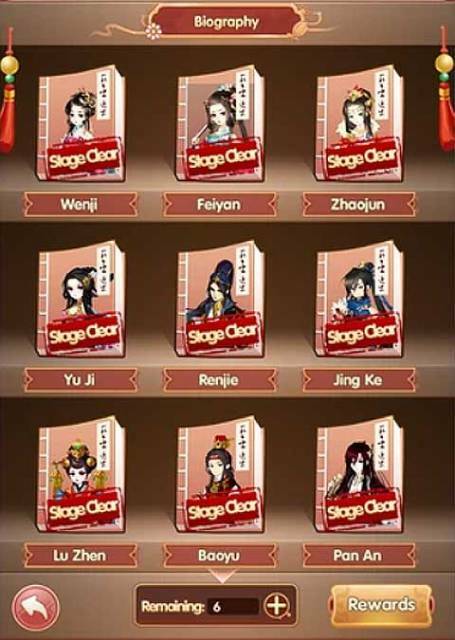 For starters, Biography is where you basically get the additional chance to acquire some Hero Shards. Although to actually unlock this portion of the game, you must have reached and cleared checkpoint 85 in the game which is typically not that hard to do but still would take quite a bit of time. So when you do, you should be pleased to know that clearing the Biography section will generally give you some Hero Shards. Aside from this, you can also get some Character EXP and gold from it. If you clear the checkpoints in the biography, you'll get an upgrade pill - as well as the chances for daily challenges in Biography will increase. During the first time you've unlocked this function, you' be given 2 chances per day, and will get to free 6 chances as you clear it. Otherwise, you can purchase an additional "chance" (in the biography) using ingots. It might not seem inviting at first due to the difficult challenge it is designed with. But during the latter part of the game, you'll eventually be able to perform the challenge and find it all too helpful to gather much of the Hero shards you need to perform power-ups to your Character / Heroes (most especially to your orange/red heroes).